"Fighting the World" 2. Blow Your Speakers" 3. Carry On" 4. Violence and Bloodshed"
"Defender" 6. Drums of Doom" 7. Holy War" 8. Master of Revenge" 9. 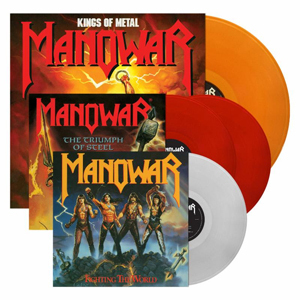 Black Wind, Fire and Steel"
"The Crown and the Ring (Lament of the Kings)"
"Achilles, Agony and Ecstasy in Eight Parts"
"The Desecration of Hector's Body"
"Spirit Horse of the Cherokee"
"The Power of Thy Sword"